Van Ness Feldman’s nationally regarded electric practice provides strategic counsel to all sectors of the electric industry including generators, power marketers, utilities, municipalities, and transmission providers. We help clients effectively navigate complex legal, regulatory, policy, transactional and litigation issues, while placing an emphasis on optimizing strategic planning, operations, and revenues. In an increasingly competitive marketplace, our attorneys facilitate early identification of risks and opportunities and translate those assessments into decisive commercial advantages for our clients. The depth of the firm’s knowledge and experience enables us to keep clients well informed about current and anticipated issues fundamental to the transformation occurring in the electric utility industry. Complementing our traditional regulatory and compliance capabilities, our attorneys are experienced with renewable power development and integration, NERC reliability requirements, new transmission infrastructure, smart grid deployment, demand response, as well as audits and investigations, and the development of compliance plans and training. Van Ness Feldman’s Electric Practice has significant experience representing utilities, power marketers, generators, developers, and investors in understanding and complying with FERC regulations as they apply to each client’s unique interests. We also look beyond counseling clients on the immediate impact of rules to the potential effect of FERC policy initiatives and proceedings on their operations and businesses. Van Ness Feldman helps electricity sellers obtain and retain market-based rate authority, report changes in status, file triennial updates, prepare Electric Quarterly Reports (EQRs), and comply with FERC’s market behavior rules and price reporting regulations. Our attorneys also advise clients on Open Access Transmission Tariff (OATT) and Open Access Same-Time Information System (OASIS) administration, implementation, and compliance; Standards of Conduct requirements; restrictions on affiliate transactions and cross-subsidization; and prohibition against market manipulation. Additionally, Van Ness Feldman helps officers and directors of public utilities navigate FERC’s interlocking directorate requirements. Going beyond “pure representation", we design and conduct employee training programs, participate in internal reviews and audits, and assist clients in developing compliance programs and procedures. ISO/RTO Participation. Participation in organized markets requires an understanding of the specific rules of each Independent System Operator (ISO) or Regional Transmission Organization (RTO). Van Ness Feldman advises clients operating in ISO-NE, NYISO, PJM, MISO, SPP, and CAISO. Our attorneys counsel clients on the development of new market rules and tariff provisions, as well as the requirements for participation in energy capacity, ancillary service markets, and demand response programs. We have significant experience with the development of interconnection and energy management agreements and other complex transactions unique to the regulatory environment of ISO/RTO organized markets. Policy Initiatives. Van Ness Feldman attorneys have participated in virtually every major FERC rulemaking over the past two decades. We help clients develop policy positions, build industry coalitions, create effective comments, participate in public conferences and meetings, and meet with FERC Commissioners and staff. Administrative Litigation and Appellate Review. Van Ness Feldman represents clients in trial-type hearings before FERC and in cases before arbitral panels, state courts, federal district courts, U.S. Courts of Appeals, and the U.S. Supreme Court. Our attorneys have extensive experience litigating complaint proceedings, including complex FERC multi-party litigation regarding market-wide remedies and technical rate cases, as well as unique power contract and related issues before state and federal trial courts. Van Ness Feldman also is known for our ability to draft successful settlements. FERC Enforcement. Utilities are subject to FERC enforcement and investigations of compliance with applicable energy statutes, FERC rules, regulations, and tariff provisions. Such investigations may include allegations of fraud and market manipulation, anticompetitive conduct, conduct threatening the transparency of regulated markets, or serious violations of electric reliability standards. Van Ness Feldman attorneys, including those working for FERC-regulated natural gas entities, bring their litigation and negotiation skills to bear for clients in all phases of non-public investigations, from initial responses to data requests, through meetings with FERC staff, to settlement discussions, and in the development of mitigation plans. If settlement is not achieved, we defend clients against allegations of violations or wrongful conduct in publicly litigated proceedings. Van Ness Feldman’s Electric practice assists utilities, generators and other entities of all sizes to understand their obligations to register with the North American Electric Reliability Corporation (NERC) and comply with its mandatory reliability standards, including development of compliance plans and procedures. We provide compliance training, counsel clients on preparing mitigation plans, plan for audits and investigations, assist in the self-reporting of potential violations, and when necessary, participate in settlement negotiation. Our electric practice also counsels clients in FERC enforcement proceedings, audits and investigations of compliance with applicable energy statutes, FERC rules, regulations, and tariff provisions. Reliability Compliance. Van Ness Feldman assists clients with a broad array of reliability compliance matters. We negotiate contracts that allocate compliance responsibilities among joint owners of facilities, assist clients in understanding mandatory reliability standard requirements, conduct mock audits, assist in responding to NERC audits and investigations, and help clients file self-reports and mitigation plans with regional entities. Our attorneys also help clients develop compliance plans and procedures that demonstrate their cultures of compliance. Van Ness Feldman provides training to registered entities and Regional Entities to understand NERC requirements, hearing procedures, and FERC penalty guidelines. As part of our services, we regularly alert clients to new developments involving FERC and NERC compliance initiatives. Van Ness Feldman attorneys counsel clients on energy efficiency and emerging smart grid policy and the development of interoperability standards by FERC and the National Institute of Standards & Technology (NIST) under the Energy Independence and Security Act (EISA). Among our clients are distribution utilities, smart meter manufacturers, demand response providers, developers of new smart grid technologies, smart grid and demand response coalitions, and nongovernmental organizations. We advise clients on corporate planning and investment decisions, strategic development of policy positions, and participation in organized markets. We also provide legislative counsel, assistance with applications for federal financial assistance, and related negotiations with the DOE. District Energy: What's Stopping Us from Sharing in the Sharing Economy? 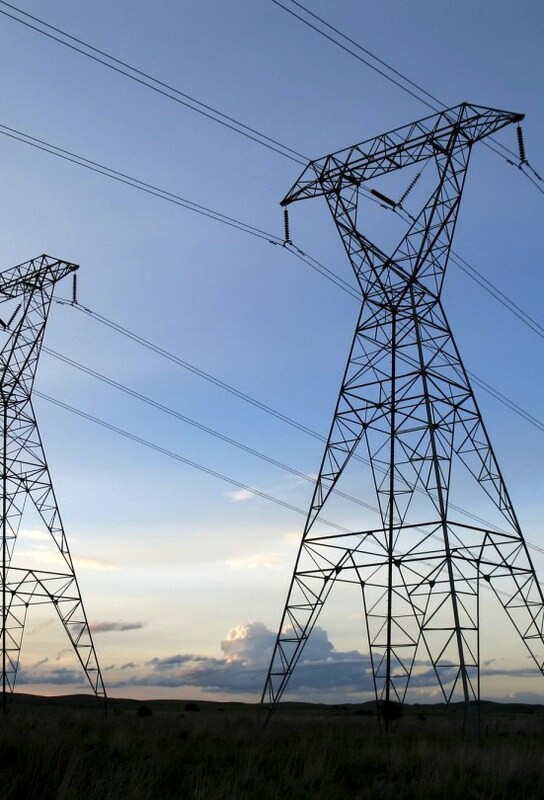 FERC Approves New Definition of Bulk Electric System, Reserves Determination of Which Facilities Are "Used in Local Distribution"